Top Ten Tuesday is a weekly meme hosted by The Broke and the Bookish. This week's topic is your top ten all time favorite characters. Woo, love it! Let's get this party started! 1. Ron Weasley from the Harry Potter series: Come on, how can I not love Wron Wron? He's hilarious, an amazing friend, and ironically, brave. Love this kid! 2. Marcus Flutie from the Jessica Darling series: Speaking of hot gingers, I have to tell you how much I love, love Marcus Flutie and his crocodile eyes. I've loved him since I met him back in 2003, when my friend convinced me to read Sloppy Firsts. We've been lovers ever since. 3. 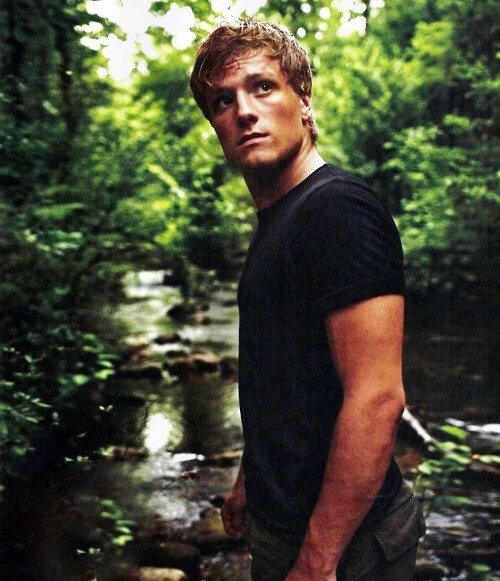 Peeta from The Hunger Games: I know what you're thinking, that I'm only going to list boys, but these are some seriously awesome boys. I mean, the kid can ice a cake! That's hot! 4. Hermione Granger from the Harry Potter series: The once annoying know-it-all turned badass savior. Seriously, where would those boys be without her? I love that she didn't care whether or not people thought she was a nerd. She's brilliant, and she knows it! 5. Katsa from Graceling: For the love of gravy, this girl can kill a man with her bare hands. Anyone that can do that is made of win! 7. Four from the Divergent trilogy: Freakin' love me some Four. Just you wait till you read Insurgent. If you liked Four in Divergent, you are going to fall head over heals in love with him in Insurgent. 8. 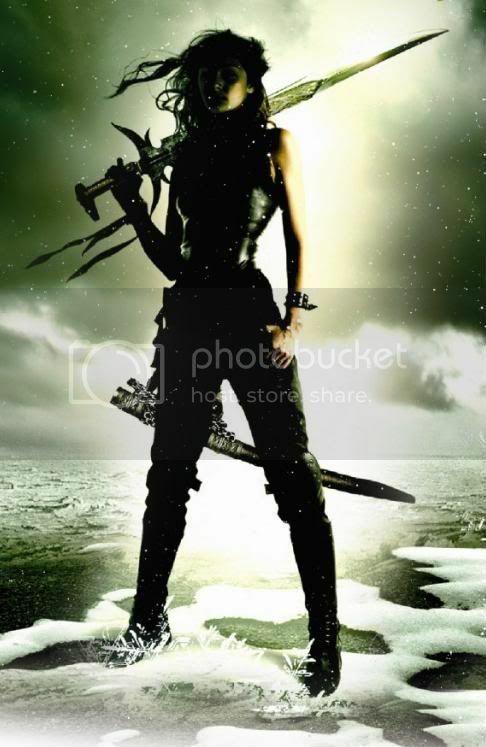 Deuce from Enclave: Needless to say, I love badass heroines. I honestly don't know how she lives in the world she does. Ann Aguirre is a brilliant and twisted writer. Ahh, dying for Outpost! 9. Fade from Enclave: Oh, Fade. How I love thee. How I would give anything for a Fade of my own. 10. Cricket from Lola and the Boy Next Door: What I wouldn't give for a guy to invent me something brilliant like, I don't know, something that can captures the stars? Cricket is a great example of how a sweet and somewhat nerdy boy can be completely swoon-worthy. And there ya go, my Top Ten All Time Favorite Characters. Yes, a lot of them are guys. I can't help it if I'm boy crazy! Who would be on your list? Agree or disagree with any of the characters I chose? Let me know! Oh, girl! I love your list. I would add St. Clair to be an eleventh person - I adored his quirky personality and silly banter with Anna. ...speaking of, I need to re-read those... I <3 Stephanie Perkins! Great picks!! I have Hermione too. I had a hard time with my list because there were so many characters I wanted to list! Oh!!!! I LOVE Ron!!! Great picks! The only one I don't know is Cricket, but ive heard SO much about him!! YES TO RON! Weasley is our king, etc. Love love your list! Your list is awesome. I vote yes to everyone I know on there (which is most of them). Clearly I need to read more books. I only know 3 of these characters XD I'll have to check out the other books now. @Sandy- HAHAHAHHAA!!! Omg, I just totally pictured Peeta in Katniss' evening gown. HAHAHAHAHAHAHAHAAHA! Love you!